The rift between Awaqir tribe in Benghazi and rogue General Khalifa Haftar widened on Monday following the selection of tribesman Faraj Egaim as Deputy Minister of Interior in the government of Tripoli-based Presidential Council. Sources said Egaim agreed to join the Presidential Council, which Khalifa Haftar totally rejects, after a meeting with the head of Presidential Council Fayaz Sirraj. Awaqir tribal leader Hussein Atia told Alnabaa TV that Sirraj has already appointed Egaim as Deputy Minister of Interior at the request of the tribe. 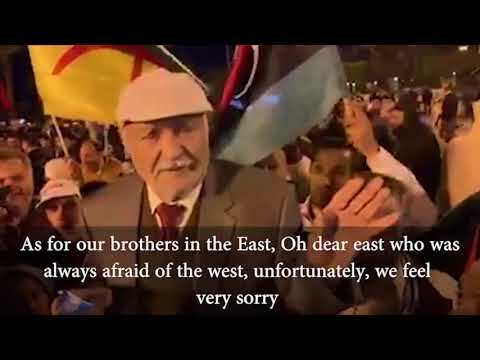 He said Awaqir decided to join Sirraj’s government in Tripoli because Abdullah Al-Thanni’s government in east Libya is powerless. 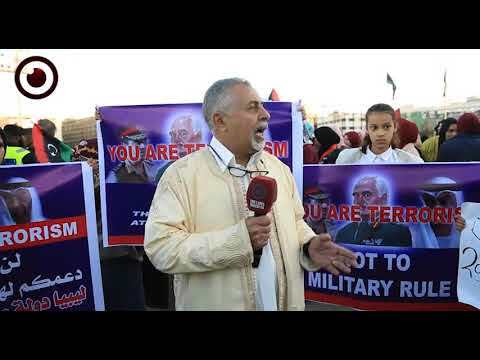 The tribe has now secured two senior positions in the Tripoli government with the first was for Al-Mihdi Al-Barghati as Minister of Defense. 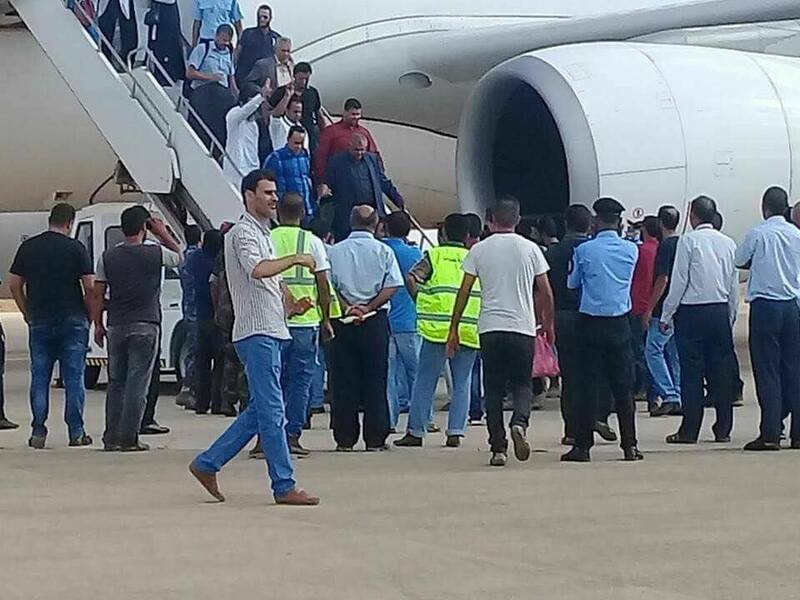 Faraj Egaim arrived at Benina Airport on Monday (photo below) after a short visit to Tunisia where he had reportedly met with Fayaz Sirraj. 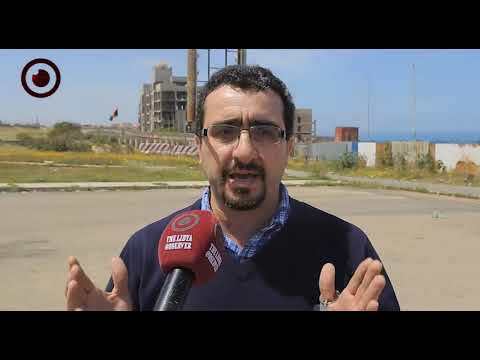 The airport saw tight security measures by Awaqir tribesmen who cordoned off the area following security reports that son of Khalifa Haftar, Saddam, was intending to storm the airport to arrest Egaim. 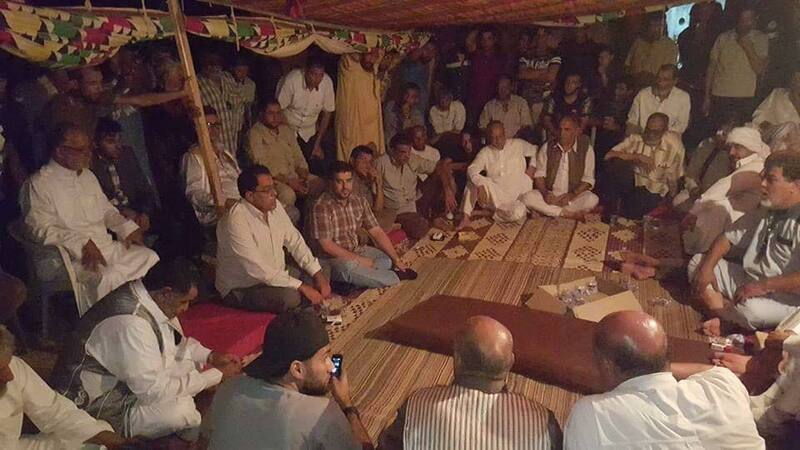 Awaqir held a tribal dinner Monday night to celebrate Egaim’s new government position. 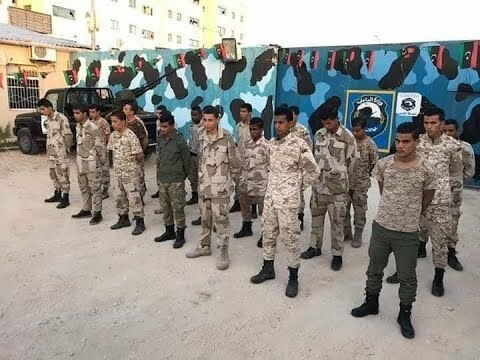 Faraj Egaim is the chief of so-called “Special Tasks Force” in Benghazi, a tribal militia group used to work under Dignity Operation before defecting to the Presidential Council. In June 2016, Egaim accused Dignity Operation groups of being behind assassinations in Benghazi. Awaqir tribe leader Braik Al-Lwati was killed in a car bomb explosion in Suluq town last May.